Both as a teacher and as an aspiring teacher, I do like this idea. I also have a board in my room that has the whole week mapped out and I have a place where I write the learning objective for each class. That way, the kids know what activities we are doing and why we are learning it; and anyone who comes in my room can see what is scheduled for the day/week and can see the objective. I also involve the kids, using the board, in setting the plans when appropriate. I hated the weekly lesson plans when I was non-tenured because like you said, when I did an assessment, I’d have to check and adjust my instruction mid-week. 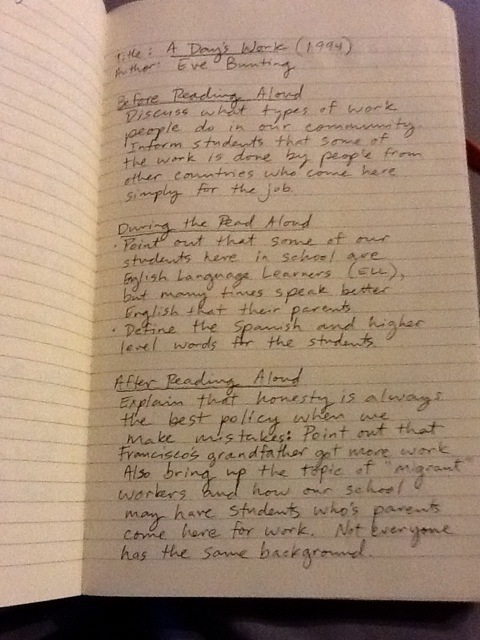 I also had a year of journaling for my evaluation (self-selected) that included the research I was using for my instruction. That was the most productive year I had up to that point. Reflective practice. That’s great to hear. Reflection is a powerful way to improve our own practices. Just got the blessing from my superintendent to pilot this. I still think first year teachers right out of the box should have to submit weekly lesson plans, only so they have their plans saved to reflect on for the following years. The probationary teachers I am trying this with are all in their second and third years of teaching. When I find a good template, I will update this post and retweet it.